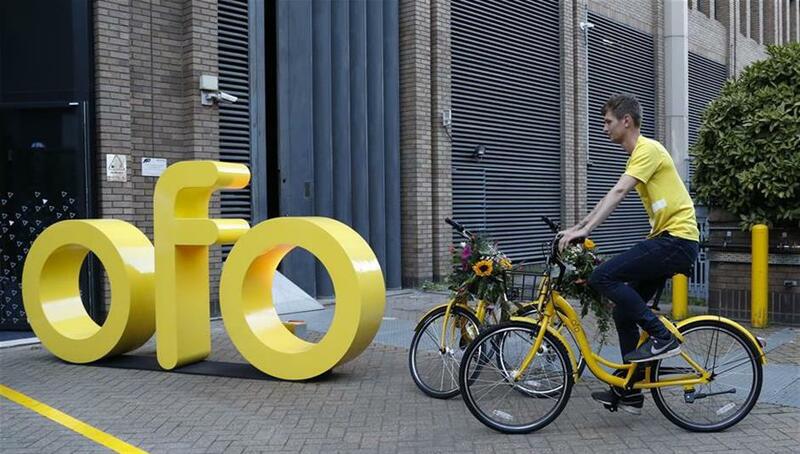 China's bike-sharing company ofo decided to increase the number of its bikes in London's Hackney following its recent launch in the borough, the company announced Friday. A staff rides an ofo bike in London's Hackney, Britain on Sept. 22, 2017. China's bike-sharing company ofo decided to increase the number of its bikes in London's Hackney following its recent launch in the borough, the company announced Friday. The company said it will increase the number of its bikes to 750 from an initial 200 over the coming month in Hackney, hoping to provide a blueprint for ofo in the rest of the capital as it looks to address transport options for the "last mile" of travel. Ofo offers an effective way to utilize shared urban space with dockless bike sharing and geo-fencing. Dockless bikes offer convenience to users, while geo-fencing ensures that riders use the bikes within the designated "Home Zone" which is clearly visible in the app. The news comes after successful launches in Cambridge and Oxford by the brand, which is working closely with Hackney Council to ensure its service integrates with existing cycling infrastructure in the borough. Joseph Seal-Driver, ofo's Britain Operations director, said:" As we celebrate our rollout in the capital, we're excited to announce on World Car Free Day that we are upping our presence in Hackney to meet the increasing demand for ofo bikes in the borough." "With the highest cycling rate in the capital, Hackney is leading the way on sustainable transport. Yet, London as a whole continues to be blighted by congestion and pollution problems. We need innovative solutions to meet these problems that go beyond the reach of Santander bikes," he added. People pay 50p (67 US cents) through a smartphone app for a 30-minute ride of ofo's yellow bikes which can be picked up and dropped off anywhere that bike parking is allowed. With more than 25 million transactions daily, ofo connects over 10 million bikes to riders in more than 170 cities in nine countries, including China, Singapore, Britain, the United States, Khazakstan, Malaysia, Thailand, Austria and Japan. In total, more than 4 billion rides have been provided to over 200 million users globally. By the end of 2017, ofo plans to deploy 20 million bikes in 20 countries.